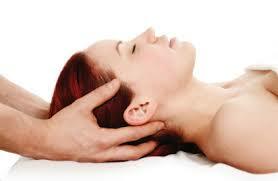 Craniosacral therapy is the massage therapists version of a chiropractors adjustment. You could call it a soft tissue adjustment. Craniosacral Massage Therapy is a technique for finding and correcting cerebral and spinal imbalances or blockages that may cause sensory, motor or intellectual dysfunction. Practitioners work with the subtle articulations of skull sutures, and the flow of cerebra-spinal fluid. Using a soft touch which is generally no greater than 5 grams – about the weight of a nickel – practitioners release restrictions in the soft tissues that surround the central nervous system. CST is increasingly used as a preventive health measure for its ability to bolster resistance to disease, and it”s effective for a wide range of medical problems associated with pain and dysfunction. Sara is the only therapist trained in this particular technique. It is one of the most relaxing of all the massage techniques. Schedule your Columbus Massage Today!